For men and women seeking natural therapies for a variety of health conditions, including depression, anxiety, and substance abuse, some providers have recommended a treatment plan which may include NAD+ amino acid therapy. 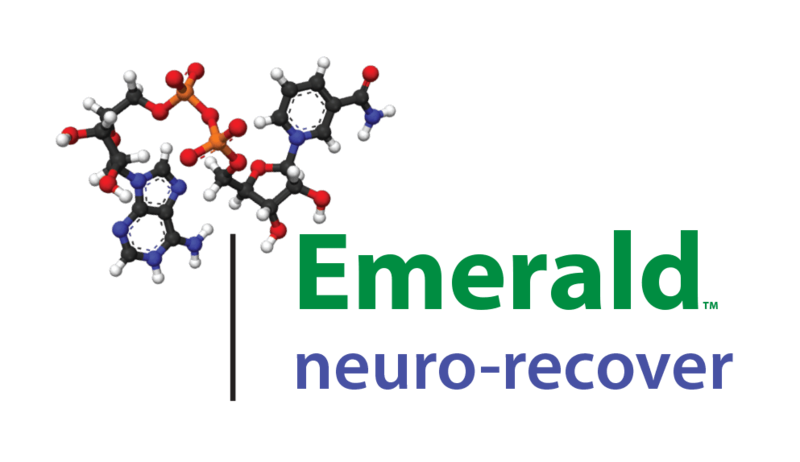 The highly skilled team at Emerald Neuro-Recover, an all-inclusive detox and recovery center in Carmel, Indiana, offer this innovative therapy for patients of all ages suffering from chronic conditions or addictions. To learn more about our services, including the use of NAD+ amino acid therapy, call to schedule a consultation today. Nicotinamide Adenine Dinucleotide (NAD) is an essential molecule found in every cell of your body. NAD is a coenzyme of vitamin B3 (niacin) that binds to a protein molecule to activate an enzyme. Enzymes are responsible for over 500 different biochemical reactions in your body, and NAD participates in more of these reactions than any other vitamin-derived molecule. This means that NAD is an essential building block for a healthy body, brain, neurological system, and internal organs, so they are all able to function at optimal levels. As you age, or as a result of stress, poor diet, and nutrition, alcohol or drug use, your body produces fewer NAD molecules. In fact, you don’t produce NAD unless you consume vitamin B3 or tryptophan. Unfortunately, for many adults, all these factors lead to the depletion of NAD in your body, even though they are vital components for optimal physical and neurological health and wellness. What is NAD+ amino acid therapy? When you come to Emerald Neuro-Recover, an all inclusive detox and recovery center, for help with any of these conditions and to improve your overall health and wellbeing, the doctors may prescribe NAD+ amino acid therapy. They take a patient-centered, whole-person approach to treating your illness or addiction, so you get the most effective, long-term solution. What can I expect with NAD+ amino acid therapy? NAD+ amino acid therapy can play an important role in recovery from illness and addiction. The experienced team delivers a customized combination of NAD+ amino acids intravenously, so it bypasses your digestive system altogether. This ensures that the infusion containing a high dose of NAD+ amino acids goes directly into your bloodstream for maximum absorption. For many adults, NAD+ amino acid therapy can aid to improve health conditions and addictions to drugs or alcohol. After treatment, you take oral supplements to continue the brain-balancing effects of the IV therapy. Periodic “booster” IV treatments are also available once the initial therapy is complete. To learn more about this innovative, holistic, natural therapy, call the clinic to schedule a consultation.